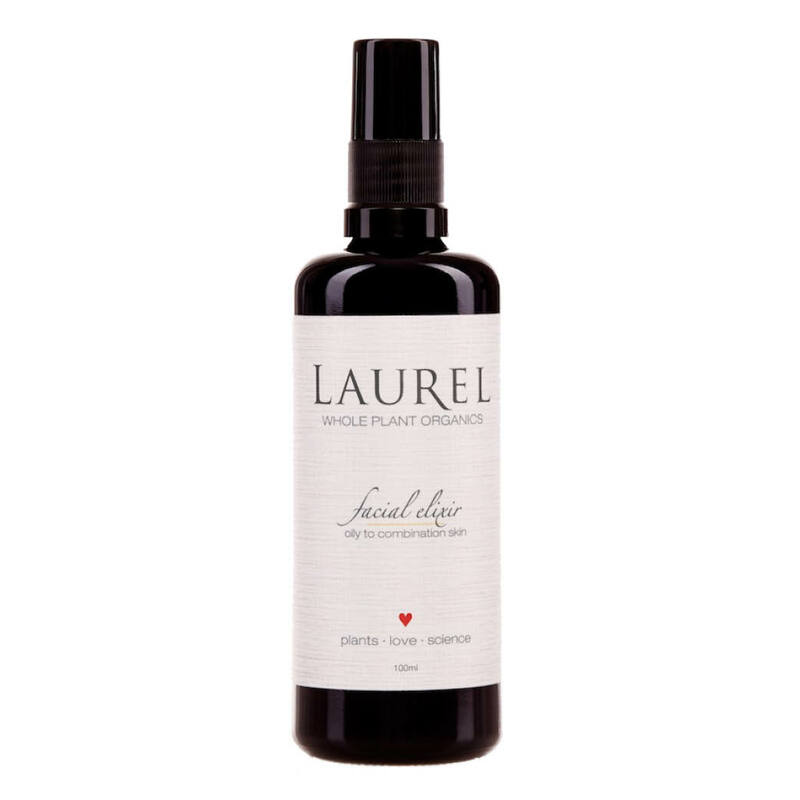 The nutrient dense Oily/Combination Facial Elixir by Laurel Whole Plant Organics brings a refreshing and regenerative sensation to skin. An organic blend tones down signs of inflammation, while creating a clear looking complexion with a youthful appearance. With the potent botanicals of calendula, chamomile, helichrysum, licorice, and rose, your skin will look balanced and restored. Troubled skin types will also benefit from the inclusion of therapeutic grade essential oils that offer a clearing and toning effect, such as lavender, neroli and lemon balm. Shake product well and mist directly onto skin after cleansing. This can also be used as a mist throughout the day for a feeling of refreshment.